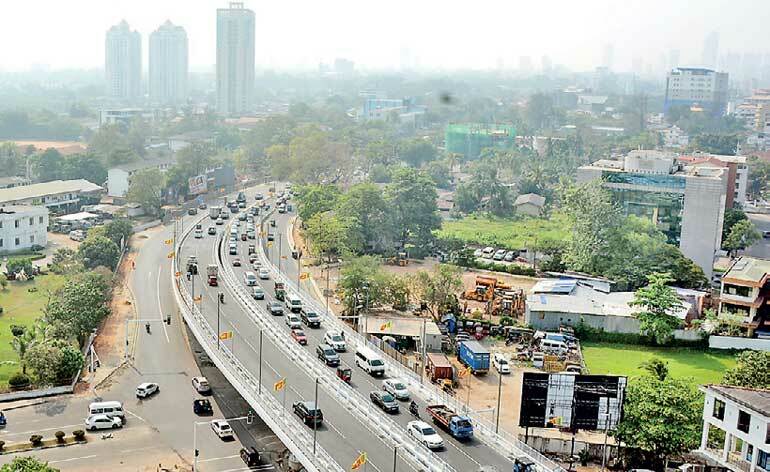 Road Development Authority (RDA) Chairman Nihal R. Sooriyarachchi has said that it is too early to comment on the success or failure of the Rajagiriya flyover, opened recently with a cost of Rs. 4.7 billion but assured the full benefit would be realised soon. The RDA Chairman thanked all the stakeholders of the area especially the trading community in Rajagiriya who gave their full support in the land acquisition process which allowed the RDA to construct both sides of the flyover simultaneously. As a result the RDA has saved 11 months in the original works program while maintaining the best quality of construction. “Present bottlenecks such as Ayurveda Junction were foreseen. The work required to overcomethis is underway with new roads connecting the Parliament Road (in front of McDonald) with the Nawala-Narahenpita road being done to take the Narahenpita bound traffic without loading the Ayurveda Junction. Further connection from Devi Balika Junction to Elvitigala Mawatha (without loading Kanatte roundabout) is also in progress. In addition to these some identified internal roads in the area are being renovated to divert traffic leading to Parliament Road,” the RDA said. “These improvements will ease the traffic congestion on Parliament Road. We assure that the full benefit of the flyover could be experienced in near future,” the RDA Chairman added.